FREE GIFT - Your head start on the next 40 years of your life! and purpose in your second half of life. How do you become more thankful for every challenge you've faced? To get where you are now, your ignition had to start with a spark. 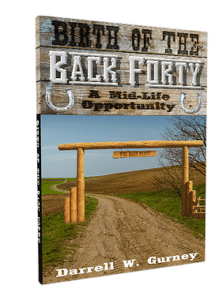 Our upcoming book and budding movement, "The Back Forty," is no different. Explore the process of our transformation and how we got to where we are now to help you get where you want to go now. The Back Forty helps you get a glimpse of your own perfectly designed path. How do you find yourself meeting midlife (or beyond)? Is it worry or wonder? Fear or Fascination? Anxiety or Anticipation? Decline or Determination? 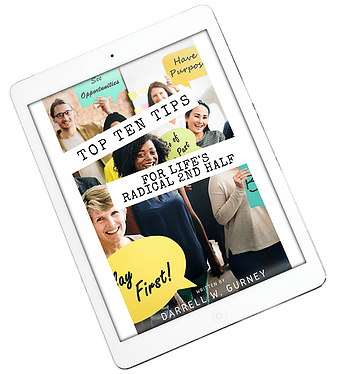 You get to choose the road you want to travel...and if you're feeling any of the fear or anxiety, these ten tips help you get on the ladder to the highest expression of your life so far. As Frank Sinatra Sings, "The best is yet to come and won't it be fine!" The future of business and societal progress depends on conscious organizations who practice mindfulness. You can choose to fuel progress by expanding your consciousness and awareness, or stay where you are and watch the world evolve. The good news? 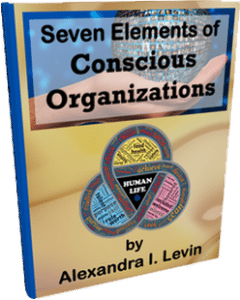 The 7 Pillars of Conscious Organizations provides a realistic business view of the elements you need to create organizational consciousness no matter where you are in the organization.